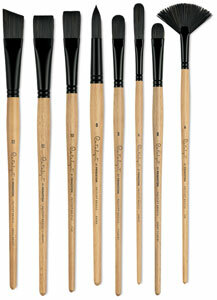 Princeton Catalyst Polytip Bristle Brushes are another Princeton breakthrough that advances the science of synthetic fiber technology. For the first time, the tip of each individual fiber has been split to replicate the natural flags on the finest natural bristle. 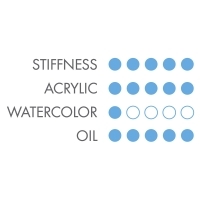 By giving each fiber two to three distinct tips, Polytip bristles are able to hold a higher volume of paint while providing smoother application. Blick Exclusive! 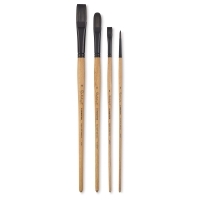 Princeton Catalyst Polytip Bristle Brushes, Set of 4 — This set of four essential brushes includes a Size 4 Bright, Size 10 Flat, Size 8 Filbert, and Size 2 Round, all with long handles. 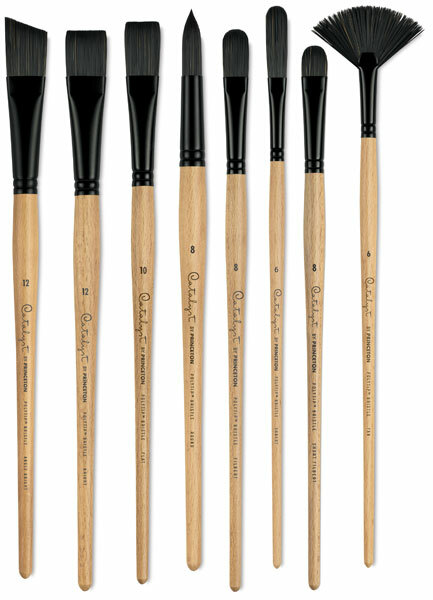 Super stiff yet extremely responsive, Catalyst synthetic brush fibers have flags that replicate the finest natural bristle. 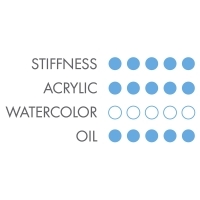 Intended for heavy body acrylics and oil paints, Catalyst brushes also have real integrity in water.